GOOD HOPE – James McWhorter is a high school phenom. The Good Hope High School senior has participated in marching band, archery, jazz band, math team, scholars’ bowl, Student Government Association (of which he is president) and will be starting soccer next semester – all while maintaining A averages in his classes and ranking within the top five of his class. To round out this already-impressive resume, McWhorter can now say that he has achieved a perfect score of 36 on the ACT. The ACT is a standardized test used by colleges to measure high school achievement and readiness for college-level academics. According to U.S. News & World Report, in the U.S. high school graduating class of 2017, only 2,760 out of more than 2 million graduates who took the ACT earned a composite score of 36. The ACT consists of tests in English, mathematics, reading and science, each scored on a scale of 1-36. A student's composite score is the average of the four test scores. McWhorter’s score shows the results of persistence and determination; this was his sixth time taking the ACT. When asked how he went about preparing for the test, he shared, "For the first one, I didn't know what to expect, but then after that I was like, 'Okay, I got this.' My mom ordered me the prep book. I didn't really take it seriously though, so before this last one she enrolled me in this ACT prep course that I took at Cullman, and that helped a lot because she made us do homework with the book." McWhorter’s first score was a 28, and his scores got better each time. 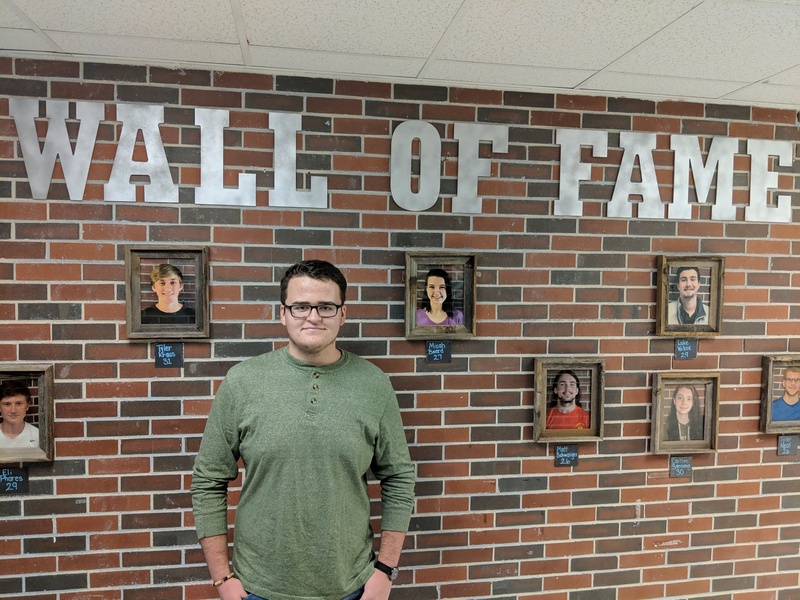 He attributes a lot of his success to his teachers and the Cullman ACT Prep course (which he recommended to anyone taking the test who may be unsure of what to expect or just looking to improve their score). As for college, McWhorter is choosing between attending The University of Alabama in Huntsville (where he has been offered full tuition and housing) or The University of Alabama (where he has been offered full tuition, one year of housing and several research stipends), though he said he is leaning more toward UAH for the job opportunities and shorter drive from Cullman. He has also applied to The University West Florida and is currently working on an application to Georgia Tech. McWhorter has high praise for two of his teachers he said have helped him tremendously. "My English teacher, Mrs. (Tiffiany) Ellis, I've had her for the past three years and she's really helped with the English whenever we've done an ACT boot camp. I've gotten 35s and 36s on the English parts because of her. Also, my science teacher, Mrs. (Tish) Jackson, really helped with the science portion, which was what I was struggling with. She would help give us practice on certain days." On his plans after college, McWhorter smiled, "I want to be an aerospace engineer and work for a company that allows me to travel a lot, because one thing I really love to do is travel."